This lovely Rhodactis sp. mushroom from ReefGen has high-impact colors that look great under multiple types of lighting. 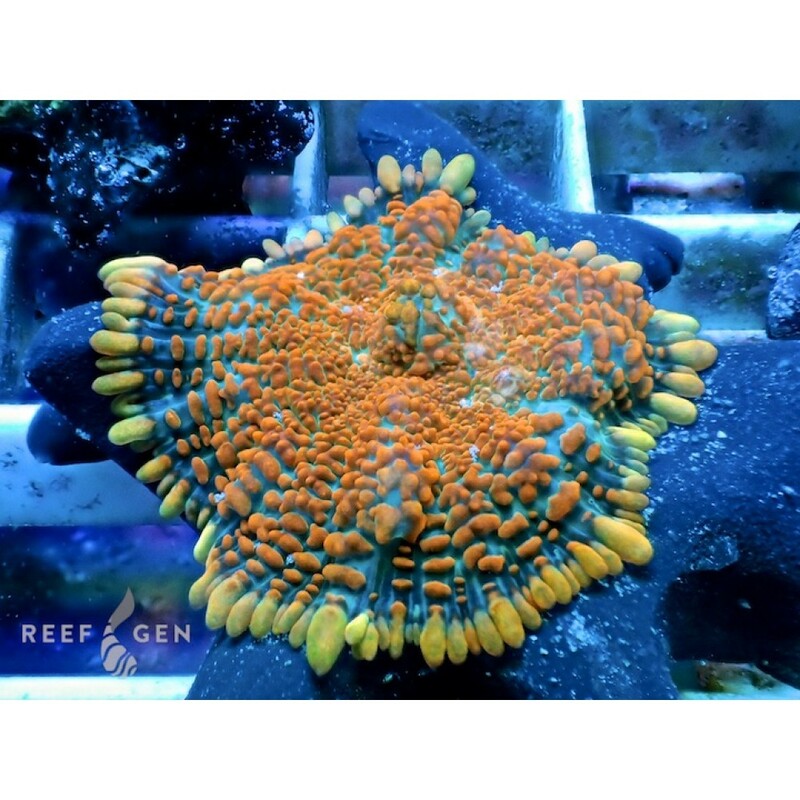 ReefGen named this mushroom after the brocade firework effect, inspired by the mushroom’s bright orange tentacles covering its blue oral disc. The Burning Brocade Shroom has proven a hardy grower tolerant of a wide range of lighting types and intensities. It has thrived under lower lighting and glows bright under LED’s. ReefGen has enjoyed watching colonies of this mushroom grow in their troughs for many years, but it has only been available for sale from ReefGen within the last year. Some of the Burning Brocade mother colonies feature polyps that span over 5” across! It would be a good choice to produce a beautiful bouquet of color for any mixed reef tank.